Loreen's debut album "Heal" is finally out this week immediately reaching #1 on Swedish iTunes and delivering all tracks to singles chart as well. "In My Head" has become absolute leader and is still the highest entry on the border of Top-10 (even higher than new single "Crying Out Your Name") but celebrating release of the album I'd like to share the song "Everytime" which goes third in chart and is currently single of the week which means that Swedes can download it for free on iTunes. "Everytime" has become one of the most personal and beautiful tracks of the album, electronic pop-ballad growing from pieceful acoustic sound working with Loreen's voice so well to a darker and deeper sound. 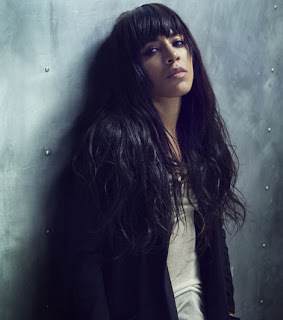 One of rare tracks on the album where Loreen goes rather sad and calming than dramatic.